Last year’s Rookie of the Year and this year’s favorite to win the award are teaming up to lead Team World in this year’s NBA Rising Stars Game. 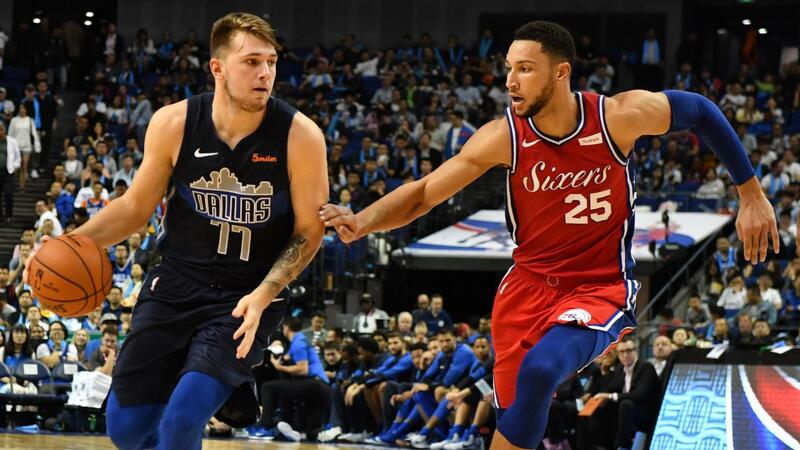 The Philadelphia 76ers’ Ben Simmons (Austrialia) and Luka Doncic (Slovenia) of the Dallas Mavericks are the two biggest names in the Team World roster. They are expected to lead the 10-man group against Team USA. Joining them are 2019 top pick, the Phoenix Suns center DeAndre Ayton (Bahamas), Bogdan Bogdanovic (Serbia) of the Sacramento Kings and Lauri Markkanen (Finland) of the Chicago Bulls. Rounding out the roster are OG Anunoby of the Toronto Raptors (UK), Shai Gilgeous-Alexander (Canada) of the LA Clippers, Cedi Osman (Turkey) of the Cleveland Cavaliers, Josh Okigie (Nigeria) of the Minnesota Timberwolves and Rodions Kurucs (Latvia) of the Brooklyn Nets. Coaching Team World will be the Mavericks’ Dirk Nowitzki (Germany). Leading the way for Team USA are two candidates for last year’s Rookie of the Year award. The Utah Jazz’s Donovan Mitchell and Boston Celtics’ Jayson Tatum are the two biggest names on the roster. They’ll be joined by a couple of LA Lakers, Lonzo Ball and Kyle Kuzma. Second year standouts De’Aaron Fox of the Kings, Jarrett Allen of the Nets and John Collins of the Atlanta Hawks are also on the roster. The team is completed by rookies Trae Young of the Hawks, Marvin Bagley of the Kings, Jaren Jackson Jr. of the Memphis Grizzlies. Team USA will be coached by the Celtics’ Kyrie Irving. The 2019 Rising Stars teams have been announced. This year’s Rising Stars Game jersey is inspired by Charlotte’s baksetball origins. Team USA will be rocking baby blue while Team World will be wearing solid black.